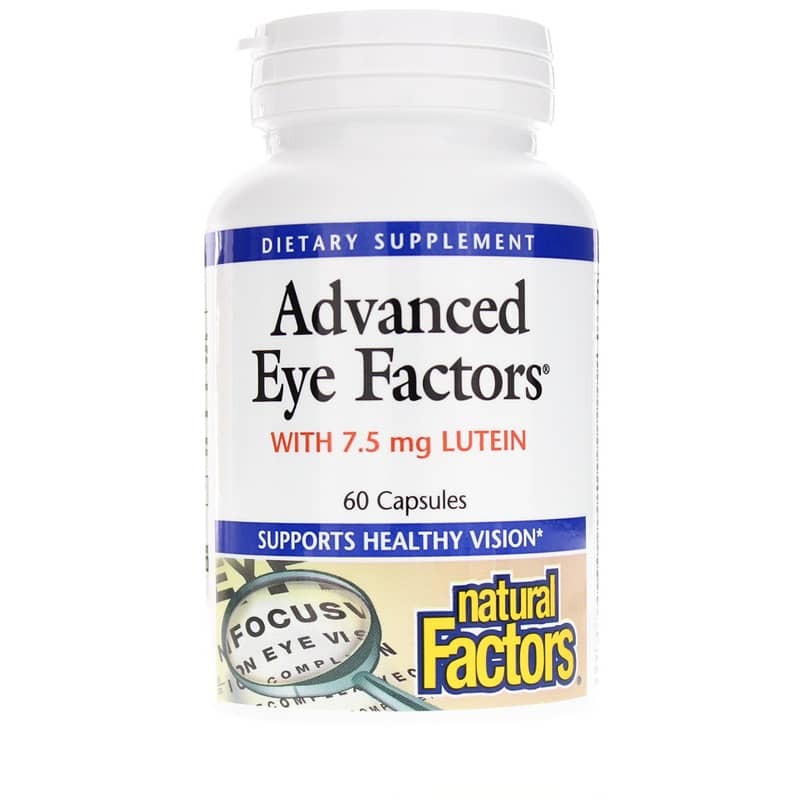 Advanced Eye Factors from Natural Factors with lutein is a potent formula of vitamins, minerals and antioxidants for eye health. 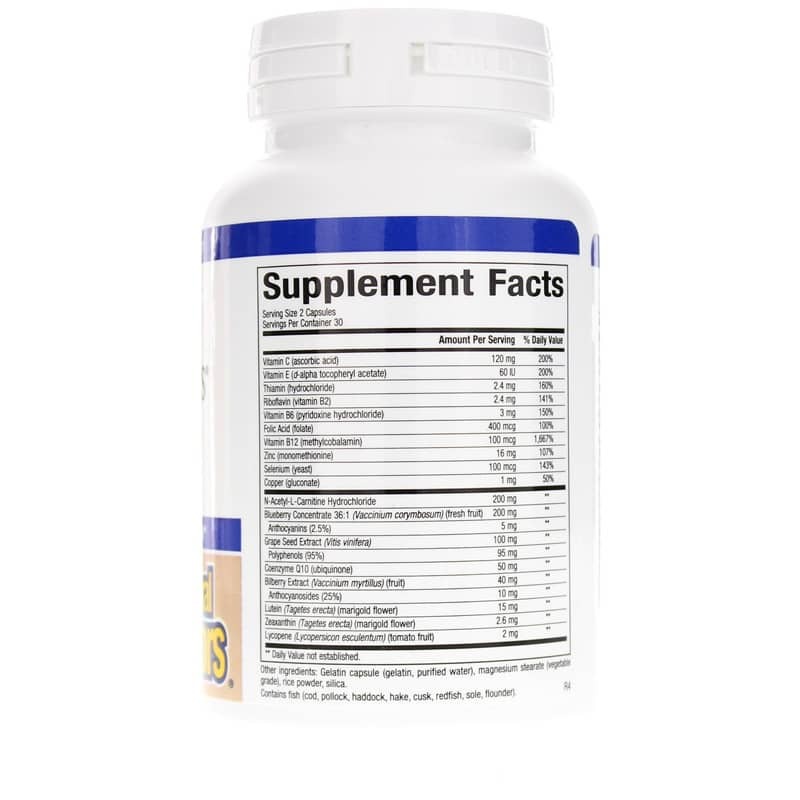 Formulated by Dr. Michael Murray, widely regarded as an authority on natural medicines, Advanced Eye Factors provides a wealth of benefits to maintain and promote healthy vision. Contains NO artificial preservatives, color or sweeteners; dairy or wheat. Other Ingredients: gelatin capsule (gelatin, purified water), magnesium stearate (vegetable grade), rice powder, silica. Contains NO: dairy, sugar, wheat, gluten, soy, egg, salt, tree nuts, GMOs. artificial preservatives, color or sweeteners. 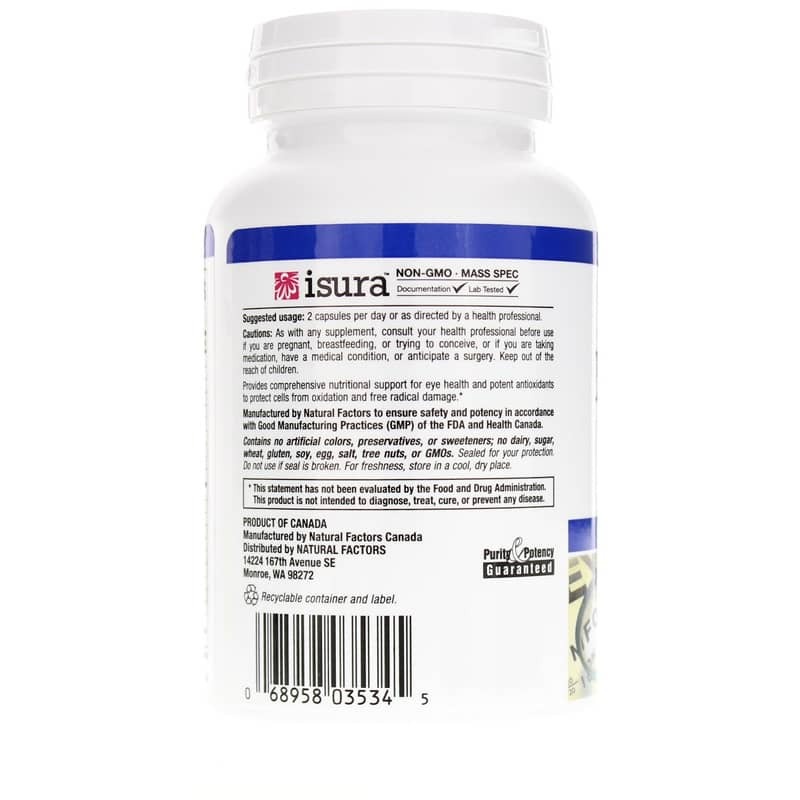 Adults: 2 capsules per day or as recommended by a healthcare professional. I have been taking the Advanced Eye Factors for over 2 months. I went to the eye specialist and my eyesight has improved from -2.50 to -1.50! I give all the credit to your vitamins. I am 60 years old.